This is also the 6th book in a series (that’s random!). 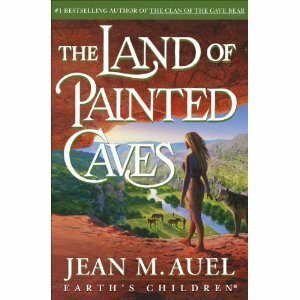 I started reading the Earth’s Children series when I was pretty young, maybe 13 or so. It’s set in prehistoric Europe, when Neanderthals and Homo Sapiens coexisted. Ayla, the main character, is a child of the Others (Homo Sapiens), who is taken in and raised by a group of Neanderthals. (This isn’t a spoiler, it’s how the series begins! lol) I feel like I know Ayla and the other characters. I CARE about these characters, which is always really important for me. I cry when they die, I sigh when they fall in love (tell anyone and I’ll deny it! ), I hurt for them when they’re going through hard times. There are a lot of long descriptive passages, which can be a little tedious if you aren’t interested in botany (Ayla is a healer who uses medicinal plants). This series actually inspired me to take an Anthropology class in my first year of university. I’m not actually sure what this book is about, but I’ve heard that it’s really good. I’ve recently watched MirrorMask (a movie scripted by Gaiman) and it renewed my interest in reading some of his stuff. 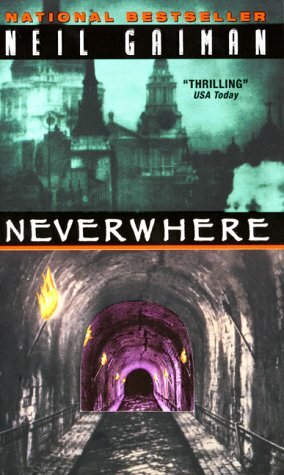 I bought Neverwhere at Bakka Pheonix Books when I went to Ad Astra in April, but haven’t had the chance to read it yet. It has now been bumped to the top of my “To Read” pile. 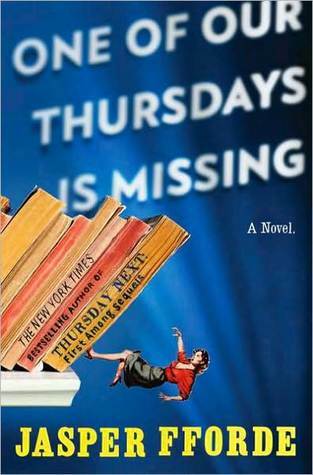 This entry was posted in Reading and tagged Earth's Children, Jasper Fforde, Jean Auel, Neil Gaiman, Neverwhere, reading, Thursday Next. Bookmark the permalink. 3 Responses to Fforde, Auel, and Gaiman, Oh My! Neverwhere was my first Gaiman, and it got me hooked. It’s not a perfect book, but it is very, very good. and fun. I hope you enjoy it! ❤ Neverwhere! It's like a modern day version of a classic hero's quest fairytale but told in Gaimen's unique style. Pure win! We should have a book discussion after you read it. Heck, I will reread it again at the same tiime as you.